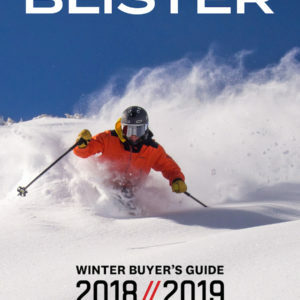 For 16/17, Salomon has completely revamped their freeski line, replacing the popular Rocker series with the QST series (though the Rocker2 100 remains in the line for 16/17). 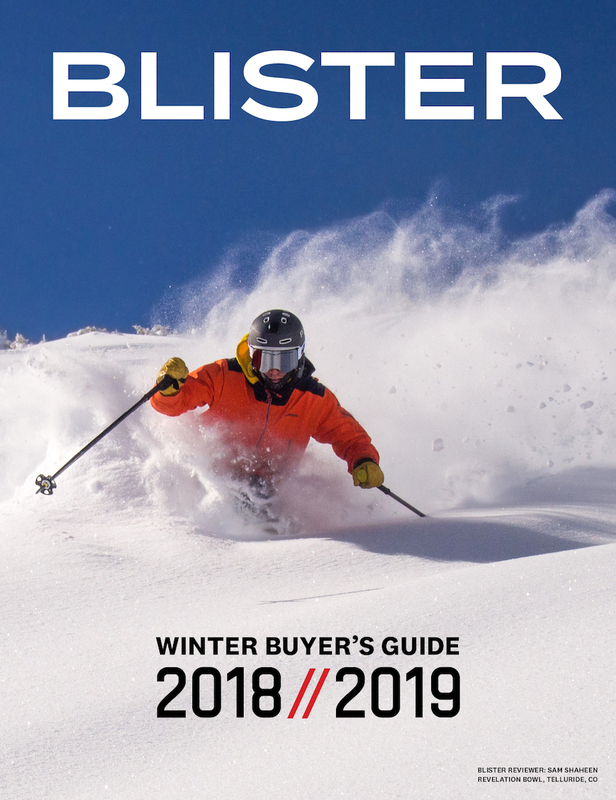 The Rocker2 122 — one of my favorite skis in deep powder — has been replaced, effectively, by the QST 118, a ski that Salomon designed to charge hard in powder, while still maintaining the ability to drift and float. After he skied the QST 118 at Silverton, Jonathan sent them to me and the skis arrived at the Chugach Powder Guides’ hangar the day before I was helping guide a group of hard-charging skiers on a potentially-amazing bluebird powder day. We had been dealing with clouds and waiting for two feet of new snow to settle for a couple of days, and it seemed like everything was lining up for us. When walking out to the helicopter that morning, I second guessed my decision to take a totally untested pair of skis on what would probably be a 10-12 hour day of skiing big, steep, heavily-sluffing terrain. I was fortunate on that day to be able to throw in an extra pair of skis (the Blizzard Spur), to provide a baseline for ski testing and to serve as backup in case the QST 118s weren’t up to the task. I spend 10 to 11 weeks each year heli guiding full-time, and just about every day I go helicopter skiing is an amazing day in the mountains. But the day that followed was pretty spectacular. After doing some snow assessment, we started our day on a seldom-skied peak with a 2000 foot fall line that maintained a pitch in the high 40’s and had at least 12 inches of dry, settled pow (and serious sluff potential) before spilling out into a big, rolling pow bowl to the pickup perch. The skiing was ridiculously good, and everyone made huge, fast, slarving turns. Spirits were high, and it was just the beginning of a 35,000+ vertical-feet day that took us to the shoulder of the tallest peak in the Chugach (Mt Marcus Baker) to over a hundred miles away to a beach on the Gulf of Alaska (near Seward, AK) while skiing every steep big powder line we encountered along the way. While it was mostly classic AK steep pow skiing, I came across just about every kind of snow possible, and spent almost the entire day on the QST 118. Given that, it felt like pretty ideal conditions to test the versatility of a powder ski. The 118’s stiff flex underfoot, significant camber, and fairly light weight combined with the heavily and abruptly rockered tip and tail create a lively, poppy ski on hard snow. I can’t remember the last time I skied something this wide that has so much energy from turn to turn. The 118 does carve remarkably well on hard snow, so long as it’s smooth. The downside to the short effective edge and short side cut is that the ski is a bit more prone to deflection when hitting bumpy, firm snow. Similarly, on extremely hard wind-packed or icy snow, the 118 also becomes a bit nervous, and when trying to skid on hard snow it feels short and a bit bouncy. But overall, on smooth, firm snow the 118 will carve trenches as long as it’s not too bumpy to maintain a smooth, clean carve. I need to get these out at the ski area, but my initial impression is that the QST 118 is also relatively damp for a ski that feels as light and poppy as it does. 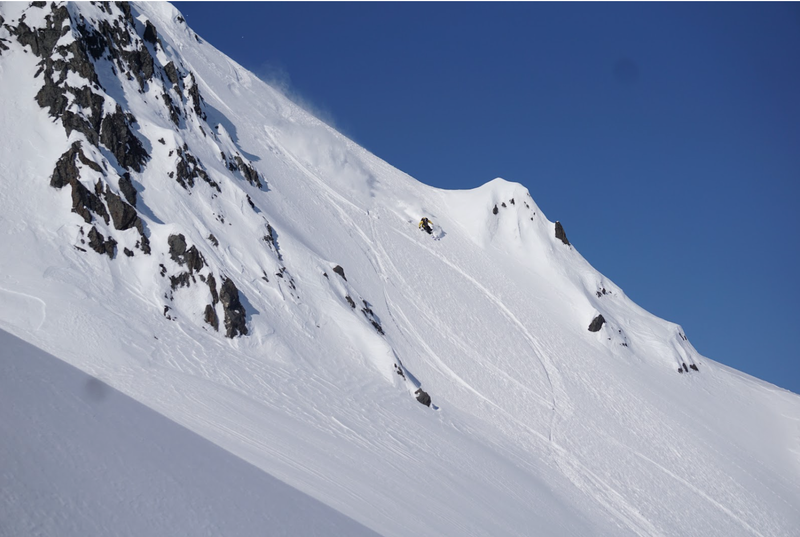 Skiing the Chugach in late April can offer a little bit of everything, even when heli skiing on big, steep, north-facing powder runs. Often the runouts of north-facing runs are much lower-angle and will get incidental solar heating during the long spring days. So it’s not uncommon to come rocketing down a big, sluffy face, hop a bergschrund, and find yourself cruising across the valley at high speeds through all kinds of weird, crusty snow. And on one of my first runs on the QST 118, I did almost exactly that. And instead of cruising back to the heli crushing through the crust as I had done on my previous run on the Blizzard Spur, I found the 118s’s hooking awkwardly and pulling me around. It was manageable, but I definitely felt like I needed to slow down a little and pay attention, as opposed to the victory-lap cruising I was doing on the wider, heavier Spur. Next run, I switched back to the Spur and once again crushed through the weird stuff at the bottom. As with the firm, bumpy conditions I mentioned above, I think the issue with the QST 118 in breakable crust or other weird snow is the exaggerated, abrupt early rise coupled with the light weight of the ski and and the dramatic early taper. I did have a gummi stone in my pocket, and detuning the shovels (from the widest point of the ski on up) helped a little. But the feeling of hookiness persisted. My first turn ever on the QST 118 was at the top of a large, steep, exposed ramp of boot-top powder while heli-skiing. I was immediately aware of the light, poppy feel of the 118s compared to any powder skis I’d been on this season, and had a great time popping and sliding down the short, narrow, upper pitch. After popping off a small cornice, I entered into 1500 ft of 45 degree perfect powder with small ridges and bumps to play with. The group up top could hear me whooping the whole way down as I alternated between quick, poppy pow arcs and long, drifted slarves until I hit the aforementioned breakable crust at the bottom of the runout. Like most light, poppy skis, the QST 118 does suffer from decreased stability. There is a great zone in our terrain called “Freight Trains” that offers up a very steep 800-1000 foot wall with room for dozens of fun lines scattered with fins, a few airs and, in places a sizable bergschrund. The zone gets its name from the sometimes monstrous sluffs that can be intimidating at best and dangerous at worst. Forty-eight hours after a sizable dump and with shin-deep snow at the knife-edge ridge drop-in, I had big sluffs on my mind and a plan to work left and exit hot over a weakness in the schrund. The top of the line went great, with some ridiculously fun slash turns and double overhead powder sprays. But as I picked up speed and got lower on the face where natural sluffs had already firmed up a bit, I started to feel significant wobble and bounce in the skis. But it was easy to keep the skis under control, and once I got clear of the schrund and onto the mellow runout, it was back to poppy pow carves. NEXT: Corn, Tight Terrain, Etc. We’re Heading South — What Should We Review? So, Salomon made a bad copy of DPS Wailer 112RP? The QST 118 is 6mm wider, and has a different tip shape, different tail shape, different tip splay, different tail splay, different flex pattern, different rocker profile, different sidecut radius, and different mount points. I mean, both products are designed to go downhill on snow, but that’s pretty much where the similarity ends. 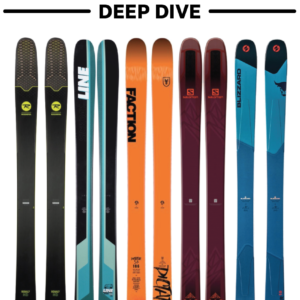 All of the skis we’re going to talk about in our Deep Dive Comparisons have more in common with the QST 118 (in terms of their design or purpose) than the Wailer 112. Sounds like an epic day! I know it’s the middle of summer but I could totally go for a day like that right now. Looking forward to the Deep Dive. 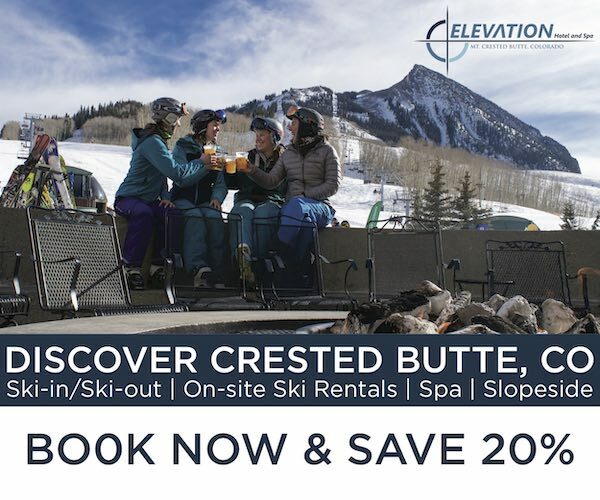 Sounds like another crappy Salomon ski, why are companies so hellbent on going “light ” on their skis? and going with such extreme taper? 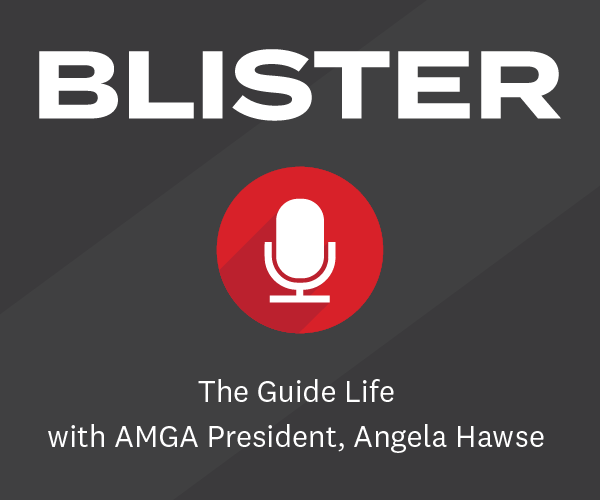 You are only going to lose stability in conditions that are less then perfect powder, which by your review sounds like the only conditions the QST really works well. But then again any 118m rockered ski will work good in perfect powder, sounds like just another “follow the trend” ski, just to boost sales. I don’t know, somehow this review leaves a bit of a bad taste. My expectations where high after listening to the Cody Townsend podcast. I probably go for the Salomon QST 106 or MTN LAB instead. I want to replace my K2 Sidestash which is a great (almost one quiver) ski. I’m looking for a little more playfulness, a little more float and a little less weight. For more serious touring I’m using the Salomon MTN 95, a great ski. thanks for reading Lucas. First, I totally agree with your appraisal of the MTN 95, great ski. There might be better skis for what you’re looking for but the QST definitely checks the boxes of playfulness, float and a little less weight without being a lightweight ski. Check out the some of our reviews on other skis in this waist width. For me, it’s hard to beat the Bibby Pro but there are a bunch of 110+ playful pow skis out there. For a bunch of comparisons in this category check out the upcoming buyers guide. Thanks for your reply, Paul. I’ll keep my eyes peeled. Interesting read – sounds like Salomon improved on the original Q line of skis, but agreed with the above comments on high expectations after the Cody Townsend comments. I’ve been weighing these against the Liberty Origin 116, Moment Bibby Pro, and 4FRNT Hoji as potential stablemates for my K2 Shreditor 102s. Having started skiing only 2 years ago after 16 years snowboarding, I’m coming up the learning curve still, but have taken very quickly to skiing. I ski a lot in the PNW, so the much-hyped crud performance of the Bibby is tempting, but people seem to be head over heels for the new Origins…would love to see an Origin 116 review from you guys next to these and the Bibby. Having just read Paul’s review again (and having spent time on the QST 118 myself) and then reading your comments … it actually sounds to me like you *did* have a pretty similar experience as Paul and me. You write, “While this ski is not a “burly” ski that will dominate wind/temperature crust it was completely manageable in mixed conditions.” Isn’t that almost a perfect paraphrase of what Paul wrote? Especially given his comparison in breakable crust to the *much* heavier Blizzard Spur … it sounds like you and Paul agree. (And to be clear, there is no way that I personally would want to put a Kingpin on the Spur and go tour on it; while I would certainly consider doing so – like you – with the QST 118.) And FWIW, the Ranger 108 is also a light ski for its weight, so while the width and rocker profiles are quite different, I’d say that you are used to skiing on lighter skis in general, which might explain a little bit why it felt like an easy transition going from the Ranger 108 to the QST 118. That makes sense to me. Hi Pow Hound, Thanks so much for writing in. It’s always helpful to hear other’s experiences especially on relatively new skis. As I wrote, I only really got to ski them one day last spring but it was during a 12000+ meter day of heli skiing that covered a lot of distance and snow conditions. I had the good fortune of having another pair of skis with me that I know quite well (Blizzard Spurs) and was able to do a lot of direct comparison on back to back runs. Based on that, I stand by my observation that they are hooky in breakable conditions, especially compared to a big, heavy ski like the Spur. They were manageable but they do not ski like a damp heavy charger in those conditions. I think part of that is due to the lightweight construction and some is due to the shape of the ski. As soon as we get a little more snow at my local lift served area I’m planning to ski these back to back with a few other skis in this width class like the Volkl Confession, Moment Bibby Pro and a few others. 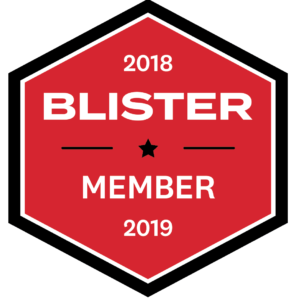 Similarly, the Fischer Ranger series are fun skis but also don’t blast through unpredictable snow in the same unflappable manner of heavier, damper skis. Otherwise, I think our observations are pretty similar. It was super fun arcing them on small amounts of firm, carvable snow I encountered and I bet they rail on groomers for a ski of that width. I also imagine that they make a pretty darned nice touring ski. Regarding the Rocker 122, I maintain that it’s an excellent powder ski and is easier to slash and drift in deep snow than the QST. I’ve seen skiers ranging from Cody Townsend to 5 day per year intermediates have the time of their life in deep pow on the 122 and don’t know many skis that make pow skiing. The QST shares some of these traits but gives up a bit of float and playfulness of the 122 for the increased stability in firm conditions that you mention. Both the QST and 122 are far superior to the Quest 115, the other predecessor to the QST, in almost every off-piste situation. I agree that the 122 is not as versatile as the QST, folds up a bit in chop and firm conditions and requires a more centered stance. Were you on the factory line? I have heard of a number of pros who ride this ski going +1, +2 because of the generous tail rocker. Just curious where you felt a good mount was? It’s a real shame that the rocker^2 skis got replaced with the qst line, the rocker 2 skis were the most playful powder skis ever made IMHO. 2018 QST 118 or 2018 Ranger 115? trying to decide between these two skis and would love to hear peoples thoughts. Im 200lbs, ski mostly in Sun Valley, ID.